The 2015 Southeastern Building Conference (SEBC) was held July 16-18 in the West Building of the Orange County Convention Center in Orlando, Florida. This year’s event included a two-day Expo Show and a three-day networking, professional development and continuing education conference. 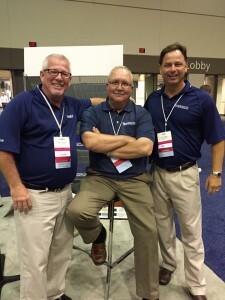 “The SEBC was a well-attended show,” said Chelsea Welsh, Corporate Marketing Manager. “We were able to showcase various products and engage a good amount of contractors and distributors.” SEMCO representatives spent time on education and had some good conversations with those that were interested in metal roofing job packs and that inquired about our free take-off services. The Florida Roofing & Sheet Metal Expo is our largest and longest-standing show. SEMCO has exhibited at FRSA for 47 years and is a Diamond Sponsor every year! This was another well-attended show with a great turnout at our hospitality suite as well as the booth. 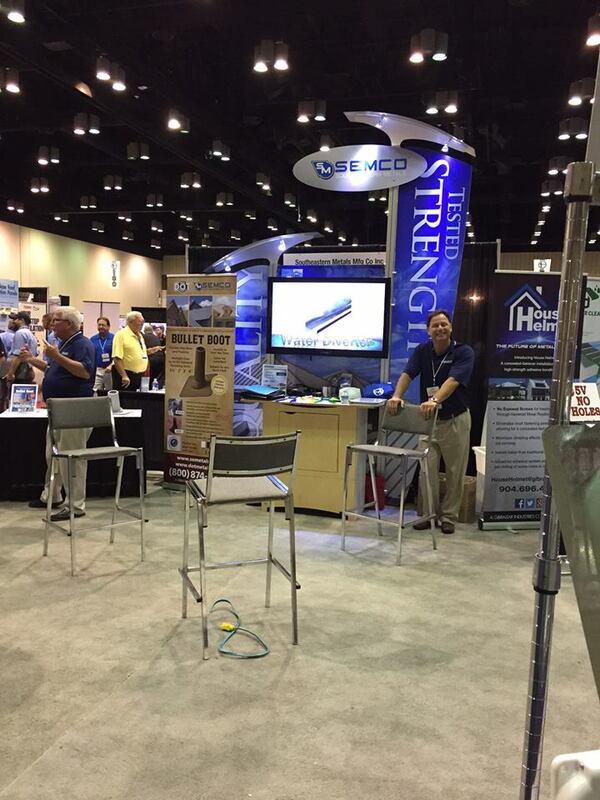 SEMCO representatives stayed busy talking with customers and future customers. We also sponsored the FRSA App this year, as well as sponsoring a team of SEMCO Clay Shooters that did very well. For more information about our products and services, contact SE Metals at (800) 874-0335, and be sure to ask for Southeastern Metals and DOT Metals products where you currently purchase your building products.